There’s nothing more relaxing than coming home after a long and chaotic day at work and getting to sit on your couch in your pristine living room. While we all want want to have a clean living room, keeping it clutter-free is easier said than done. If you’re struggling to keep your living room clean and decluttered, Self Storage at Brisbane Port from Fort Lytton Self Storage can help you out. Keep these tips in mind when you’re trying to declutter and clear out your living room. If the flat surfaces in your living room are cluttered, like your TV cabinet or coffee table, your entire living room can appear more messy than it is. Everything in your living room should have a dedicated storage space, so there’s no need to leave items lying around on your coffee table. Take some time to keep all your surfaces in the living room free from clutter. If there isn’t enough storage space inside your living room now, it’s a lot more difficult to keep your living room mess free. Install some wall shelving inside your living room. If floor space is limited, you can install smaller floating shelves. This gives you more storage locations without taking up floor space with large, clunky bookshelves. While you probably need to have bookshelves in your living room to have enough storage space for all of your items, you don’t want these shelves to become too messy. Make sure you spend some time decluttering your living room shelving. There will probably be items you no longer want, and these can be sold or donated to your friends or to charity. There might currently be furnishings in your living room that aren’t really serving a purpose other than taking up space. If this is the case, move these items into storage at Brisbane Port. Fort Lytton Self Storage is a secure facility, so you can rest easy knowing your belongings are completely protected. 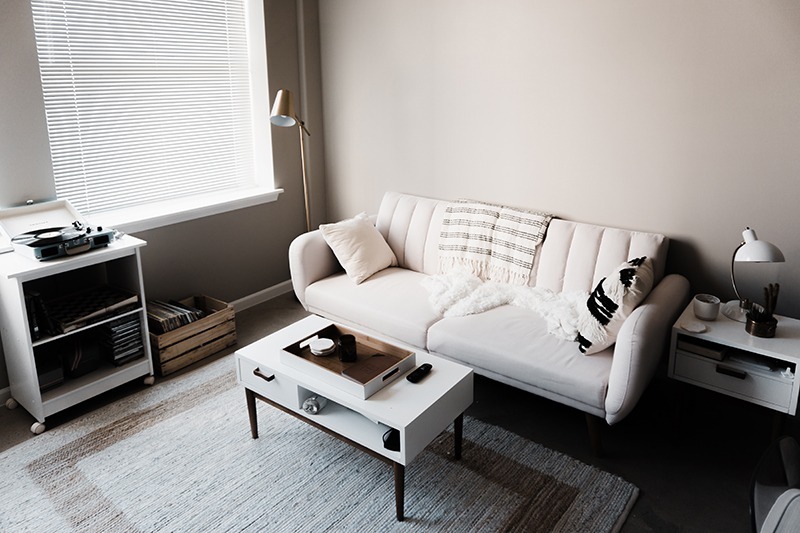 Clutter in your living room can distract your mind and make it more difficult to relax, which is the last thing you want after you’ve come home from a hard day at work. If you need help decluttering your living room, make sure you follow these tips. Contact the storage experts at Fort Lytton Self Storage today to learn more about your storage options.